The use of the word ‘quipped’ to describe an attack or threat is novel. Deliberate misinterpretation of a quip is not, however; so an examination of the press conference on 7th March 2019 is instructive. Ms Raghubir, President of the GPA, was vociferous in her response, and was at no time cowed in the exchange. She spiritedly replied, “I get impatient with stupid statements”. This was in reply to a former President of Guyana. Having found common ground on this issue, the press conference continued with both parties asking and answering questions in good humour. Ms. Raghubir did not leave the press conference. It is difficult to discern an attack or threat from either tone or posture displayed by the Leader of the Opposition during this exchange, (complete video of which is available via the PPPC Facebook page). The GPA should be in praise of the unprecedented access, via weekly press conferences, to the Leader of the Opposition, which allows unfettered access to Jagdeo without constraint of time or a moderator. The PPP has a long track record of championing freedom of the press, and has fought its own struggles during previous PNC regimes to ensure the public always has access to the media, and that the media is free and fair. While the GPA may indeed see questioning of deductive reasoning capabilities as a threat to many media houses, the biggest dangers to the lives and livelihoods of media practitioners and media houses are not quips and/or testy exchanges at press conferences. The threat comes from the media’s abandonment of the universal journalistic code of ethics. For enlightenment of those who entered the profession without formal training, there are four core principles: Seek Truth and Report it; Minimize Harm; Act Independently, and Be Accountable and Transparent. An examination of the work of some members of the GPA shows a pattern of fabrication, lack of regard for the public good, bias and partisanship. A few examples presented here should be sufficient evidence of the need of the GPA members to take a more professional approach to their job. However, Mr Jagdeo did not use the word ‘deported’, but said ‘repatriated.’ The article has since been amended. Newsroom was again the perpetrator of fake news on two occasions when they claimed, on 4th October 2018, that the PPP/C had “pulled out of Wakenaam local government elections”, and on 8th September 2018, “Jagdeo supports repossession of Providence lands”. 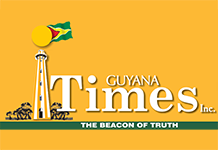 The Guyana Chronicle, on any given day, will carry so many fabrications that it has become a futile exercise to keep up. The GPA should work assiduously to self-police its members and curb the manufacture and dissemination of ‘fake news’. At stake is the credibility of the media. For instance, there are unproven accusations that have been repeated ad nauseam: 400 Black youths killed by PPP and $28B stolen by PPP. These have never been the subject of credible, independent investigation — a continuing blemish on the local journalistic fraternity.